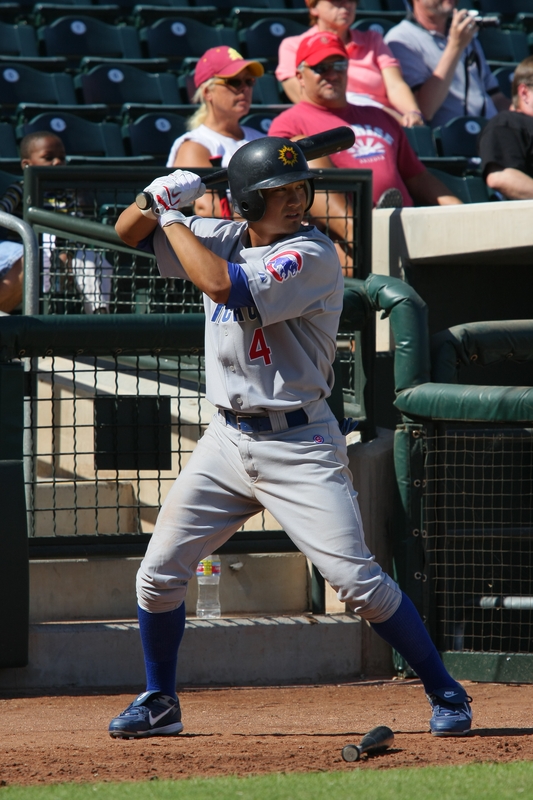 The experiences of Cubs prospects while on the Arizona Fall League's Mesa Solar Sox. Hey everyone, Darwin Barney here checking in on the Cubs AFL blog. For those of you who don’t me, I was drafted by the Cubs in the fourth round of the 2007 draft out of Oregon State. I spent the year with Daytona in the Florida State League and was fortunate enough to win a title with the Cubs. As the weather stays hot here, the fields are staying bouncy, leading to some pretty crazy games. On Monday, we scored 28 runs, and scattered a bunch of hits. We all can’t wait for the weather to turn as it should in the next week. The Cubs had a good day today, collecting eight hits. (Steve Clevenger, Nate Spears and I). Clev had four of them. Our team has been hitting the ball, leading to a few wins these past few days, making the sun much more bearable. With the high Arizona sky and breeze, it’s making for a tough playing field. I think it’s a good challenge for the players in this league. So far we’ve seen two cycles — well one cycle and one almost-cycle. , one by Ray Ray (John Raynor), and the near-cycle by Jason Donald (he was just a triple short), who is hitting the cover off the ball, by the way. It’s been fun so far. I’m going to enjoy a day off on Tuesday, and if we keep putting games together, maybe we could make a run at the league.